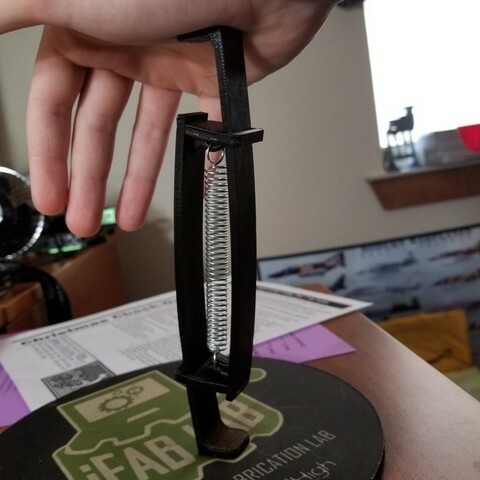 This is a fun print that converts a tension spring or rubber band that applies force when in tension into something that applies a force when compressed. This works with springs, rubber bands, or whatever else you can fit into the hooks. 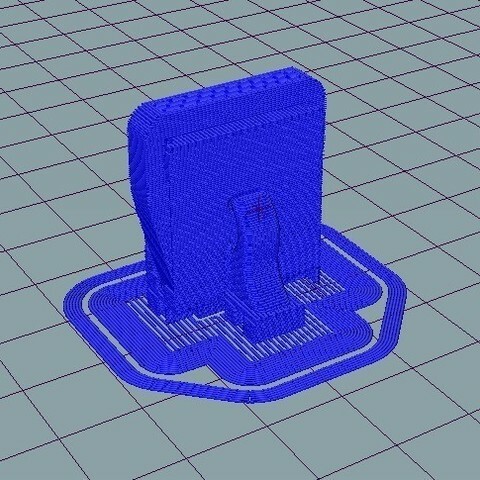 Not to sure if there's a practical use for this print, but I think it's a cool concept that's quick and easy to print. 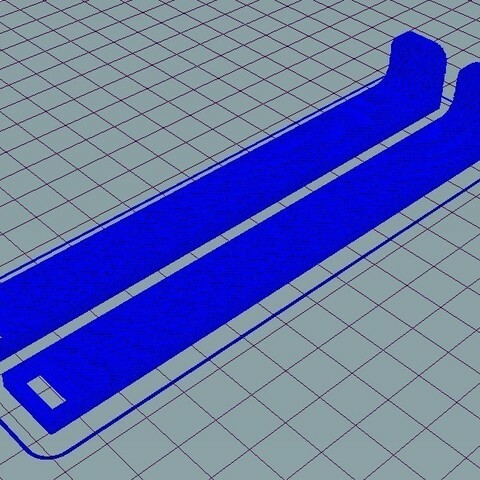 Print the legs as you normally would with the long side on the bed. 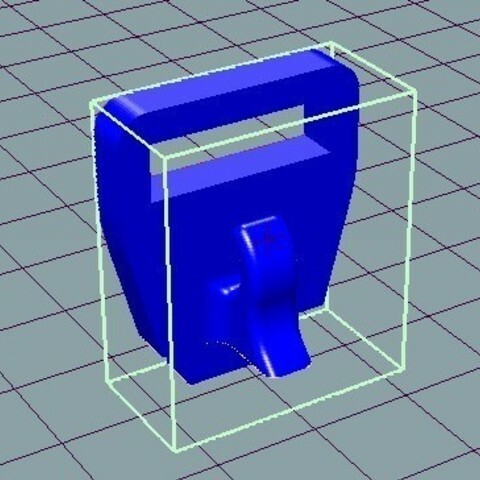 Print the hook connector part standing up at 100% infill with minimal supports as shown in the pictures. For construction, you will need super glue or some adhesive. Each hook connector slides on one leg and is glued onto the other. First, slide the hook connectors through the legs with the hooks facing away from the feet. Then press fit the connectors into the rectangular hole at the top of each leg. If it all fits, then take the hook connectors out of the slots, dab some super glue on em, and press the connectors back into the rectangular holes again. Let it dry and then test it out. 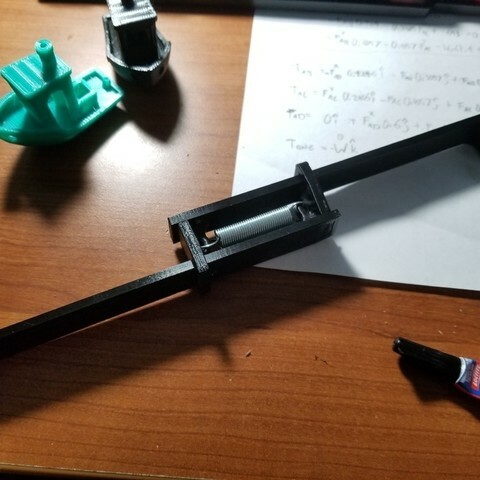 I used PETG and it bends a little with a strong spring. I think PLA would work best because it's more ridged. DO NOT glue the hook connectors into the legs before you slide the hook connectors on the legs. You won't be able to assemble it if you do so.